Your ad will be seen by more than 437,000 people everyday! Our High Resolution digital billboard is your portal to reach thousands daily! Have you ever wanted to advertise on a billboard? Have you ever thought that advertising on a billboard might cost too much?? How would you like to advertise to more than 437,000 everyday? 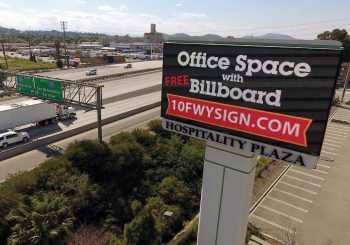 This engaging, high resolution digital billboard now makes freeway advertising more affordable than ever! Unlike static billboards, you will have the ability to change or update your ad(s) as often as you like. You can even run multiple ads on the same day to reach different target demographics. Our high resolution digital billboard is located at a prime location off the I-10 Freeway and the Waterman exit, in San Bernardino. More than 230,000 cars pass our billboard daily. 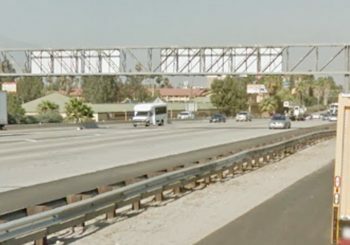 The billboard is double-sided so it will be seen by commuters traveling both directions on the I-10 Freeway. 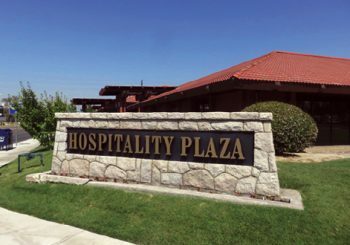 If you have any questions, or would like to speak with a representative, please call (909) 888-6919 or email info@10fwysign.com.